Chy Carrow's hamlet, Keigwin, has been occupied since the bronze age, for its alluvial tin as well as for agriculture. 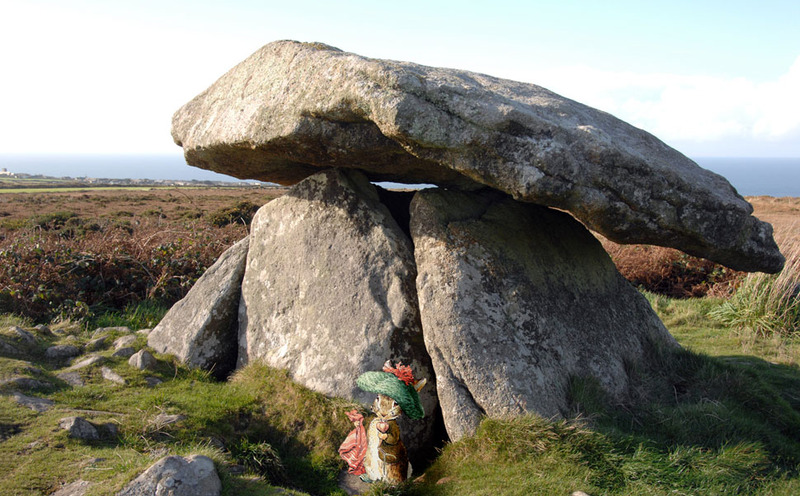 Chun Quoit (below), at the top of the hill just south of the house, is 5,000 years old. The field hedge-walls around Keigwin are between 1,000 and 5,000 years old. The large stone-circle Chun Castle near the Quoit is about 2,000 years old, and was used for tin smelting, on the tin route from local sources to St Michael's Mount, from where it was shipped. Nearby courtyard houses surviving at Chysauster are also from the time of Roman Britain. The Romans didn't occupy this part of Britain, though they did control the tin trade. At about the same time cultivation gave way to animal grazing, which is still the farming happening today. Our neighbouring farm keeps a herd of Guernseys. 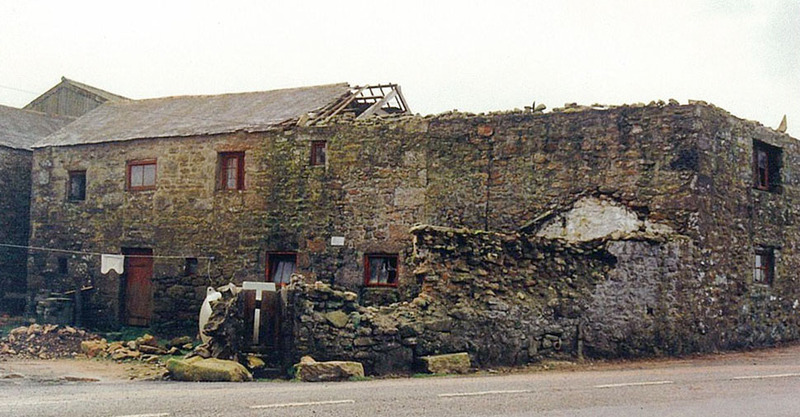 The farm buildings at Keigwin were built of stone only in the nineteenth century, benefiting from the prosperity created by the boom in copper and tin mining. Chy Carrow itself is a barn from that period, with cow stalls downstairs and hay storage above, converted to a house in the 1980s. 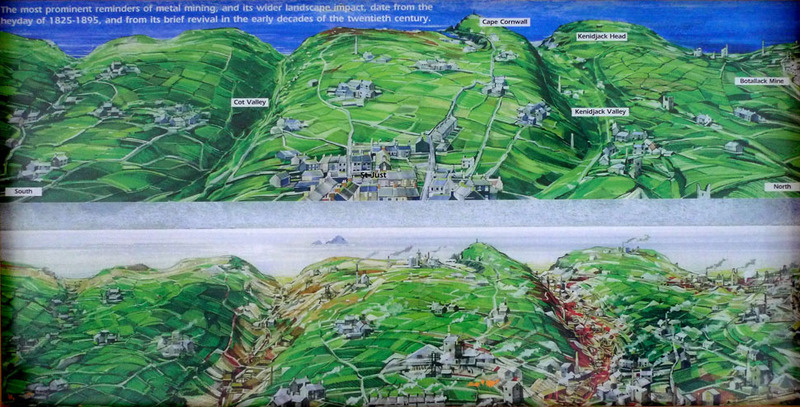 Beyond the immediate farming neigbourhood, the industrial heritage of the copper and tin mining is most distinctive in the landscape, though as the illustration below taken from a local exhibition shows, what's visible today is a fraction of what covered the landscape in Victorian times.